Shhhhhh! The slightest sounds will wake the zombies! you’d better be ready and raring to go when the zombies attack! Are you ready to flick some zombies? 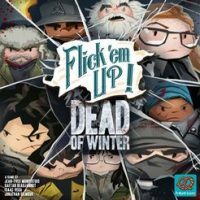 Add a Review for "Flick ’em Up: Dead of Winter"